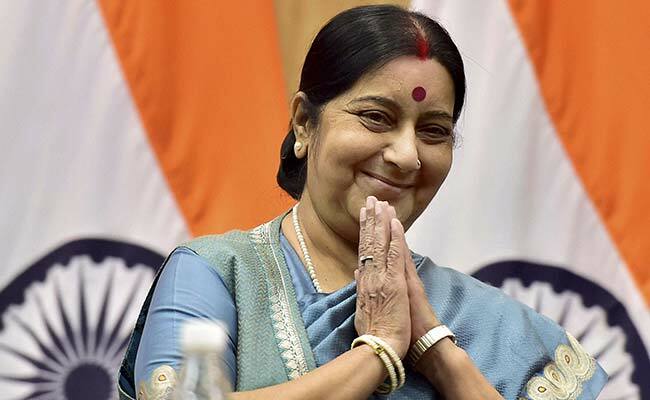 Sushma Swaraj again wins hearts with her large dollops of humanity : The Big-hearted gesture of help, Sushma Swaraj who is the External Affairs Minister has come for a lot of appreciation both within and outside the country. Sushma finds time to congratulate Olympics medal winners, console injured Olympians and even sort out the passport issues of people despite her tight schedule. A media report wondered that How is she able to accommodate so many requests of so many people even as she fulfils her external affairs ministerial duties. TOI wrote that Sushma Swaraj was back to sorting out the passport issues of people in her signature style – large dollops of humanity, a pinch of humour and a dash of swagger. She received a lot of praise after she promptly extended help to a Singapore-based NRI Arif Rashid Zargar who has been reportedly waiting for a while now for his infant son to get a passport. He apparently ca not see his little boy, Ali, in person until he gets his documentation done. So he tweeted his predicament to the external affairs minister. According to TOI report that Pls help out with my baby’s passport or he will grow thinking skype n whatsapp is his father.